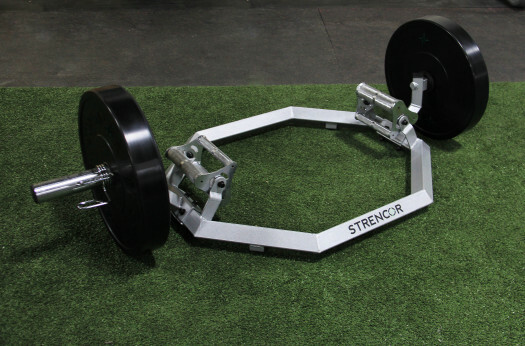 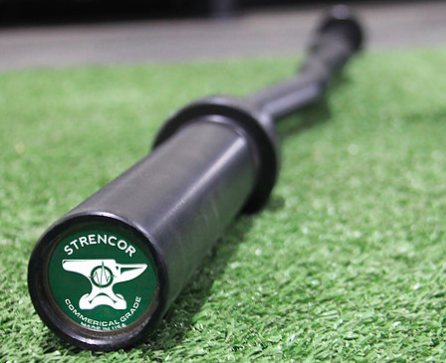 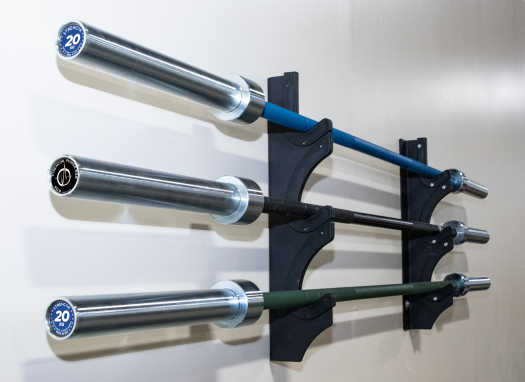 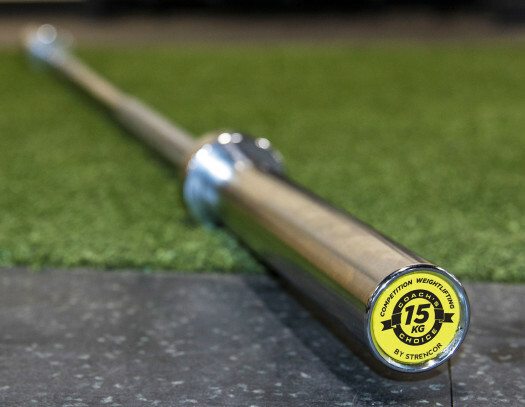 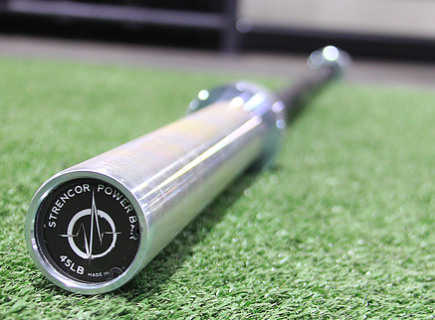 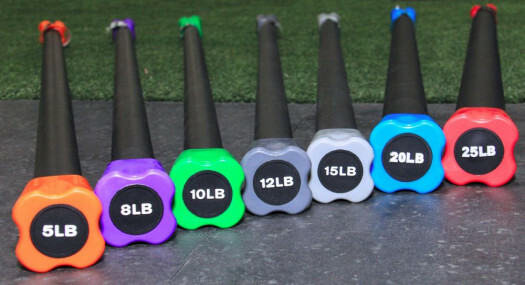 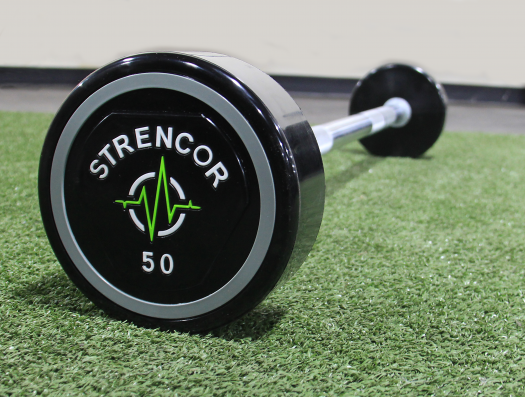 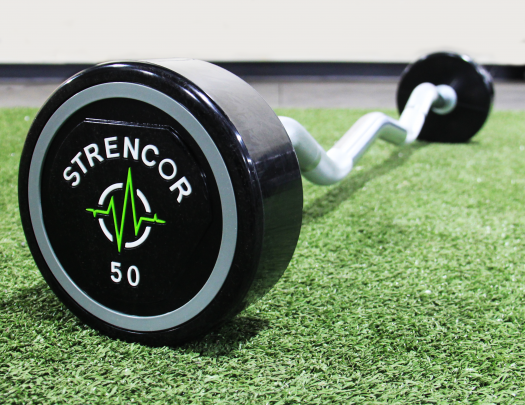 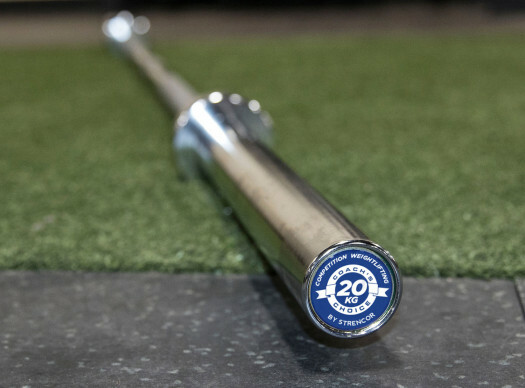 The Strencor Power Bar is a strength stress proof alloy steel barbell with a black oxide shaft and zinc sleeves. 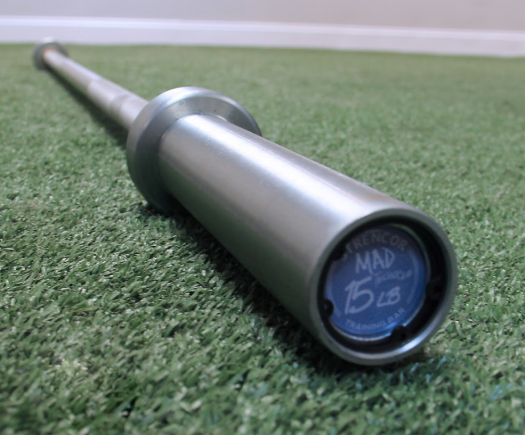 It's equipped with double rings and a medium/moderate knurl with copper bushing. 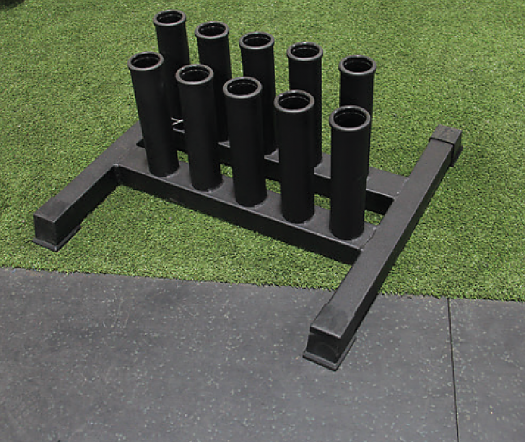 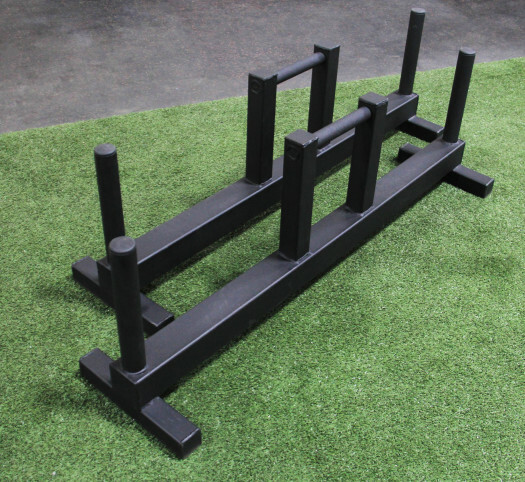 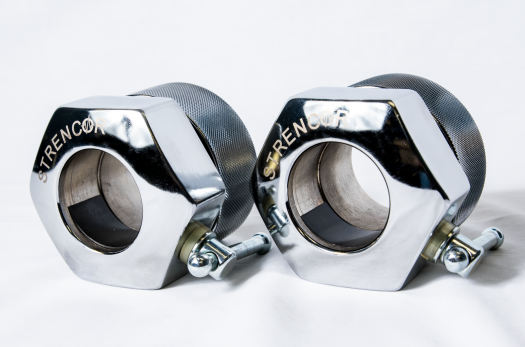 It has a tensile strength of up to 1500lb which is great for on the platform or in the rack.